There are a lot of parents who are now a bit unsure whether they should expose their children to technology especially because of the negative effects that are always talked about. The positive side of technology should not be overlooked because it exists. According to some studies, getting exposed to interactive technology can be very helpful for your children because they will get to learn more. They learn how to develop their brain at an early age. As a parent, it is okay to be concerned about how much technology your child should be exposed to. If you are still unsure, you can limit the exposure of your child to technology for a few hours every day and then you can let your child play outdoors most of the time. It will give your child enough physical activities while allowing technology to strengthen your child’s brain at the same time. You will help develop your child’s language skills. Your child can be encouraged to try out applications that will help him or her to learn how to write letters and in due time, you can even encourage your child to start reading ebooks that are appropriate for his age. The more that your child reads, the better his language skills are going to be. You will increase the chances of your child to be school-ready. Do you think that your child is ready for school? A lot of parents feel that their child is still too young to enter school because they have not progressed much. Being exposed to technology can help improve school readiness because they can develop the skills that they need in order to learn the lessons that will be taught to them. There is a possibility that your child’s focus will improve. There are a lot of parents who say that getting exposed to technology has made it impossible for their children to focus on tasks but when children like what they are doing, they will give their utmost attention to the activity that they have on hand. The more that your child learns how to pay attention, the more focused that he is going to be. Children will have the motivation to finish tasks. There are a lot of games that would encourage children to do certain tasks in order to finish what they have started. This is a skill that will be particularly helpful for a lot of people especially when they grow older. Allow your child to develop this skill early on because this will surely be useful in the long run. It will help improve children’s problem solving skills. There are a lot of problems that your child will encounter in the future whether it is for lessons that your child will learn or if it is for your child’s life beyond school. Having the ability to solve problems immediately will definitely help your child. You can learn more about technology and how it can help your child here. The very first step to do anything is to take your child out shopping so they can pick their favorite gear. For the best life vest, your child should be the one who chooses the color and the size. When he sees the different varieties, he will take an interest himself. Life vests come in various shapes and sizes. From cartoon drawings to more subtle designs, life vests can be used as a means of attracting the kid. If your child is small and does not fully understand the need of a life vest, you have to choose it from them. You can ask the child to wear it to make sure it fits properly. When the children are older, they can choose the vests themselves. They will know better if the vest is loose or too tight. In swimming gear, you can also buy goggles and a similar nose pin. Kids love all of this. Start off in an exciting way so that they cannot say no. One of the best parts of Olympics is the swimming competition. To teach your child what swimming is, you should record some of the best swimming moments from Olympics and show these to your children. When they see the great champions, and they feel the adrenaline rush, they will understand what kind of an awesome sports swimming is. Various children even know the names of the most famous swimmers. You can record videos of them and show these to the whole family. Let your children know swimming is something that everyone can do if they put the effort and if they have the will to excel in it. They can be the next champions. You can show your children fun movies in which swimming is the main sport. Do not show them movies where there is danger in the water. You do not want them scared before they even start. There are many movies, which are child-friendly and these show the importance of swimming and the dynamics of the sport. It is important for kids to learn by looking at such fun movies. These will serve as a lesson as well as make the children interested in the sport. 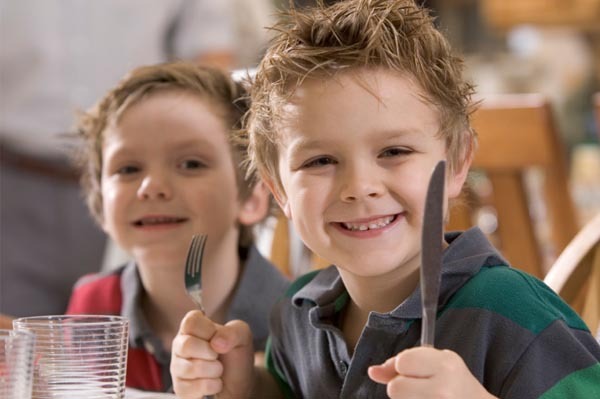 How to Teach Etiquette to Your Kids? It is very hard to be parents. You should be careful about what you do, say, view and hear to raise and teach your kids decency. However, if you would like them to be a respectable person once they grow up, you might require changing some of your habits as well. It is a proven fact that kids are the best observers. They will observe your each action, the things you say, ways you express and react. Kindness is a virtue, and your kids learn that from you. If you perform an act of kindness in front of them, they will try to replicate that in one way or the other. For example, if you evacuate an animal from a difficult situation and rescue it, your kids will also do that sometime later in his life. If you help the poor and old, letting them cross the road when needed or giving them some alms, your kids will grow up doing the same. Choosing what you do in front of your children wisely allow you mend your ways and at the same time, create a good personality of your kids. You can change and mold your kids’ personality in any manner you like but for that reason, be sure to choose the right path. If you are habitual of uttering a few words of curse occasionally, you cannot expect your kids to do the opposite. In actual, you would be shocked to hear something like that coming out of the mouth of your naïve child. Realizing that it was your mistake at that point would be too late as a foul way of speaking would be imprinted in your kid’s mind by then. Furthermore, you will not be able to do anything about it except regret. Therefore, it is essential to think before you speak in front of your kids. Your choice of words becomes the actual vocabulary of your child when he would start talking. The kids of this generation are inclined towards eating junk food. Eating that leads to several health issues including obesity, diabetes, irritating bowel syndrome and a lot more. If you are someone who adores munching in junk every time, you cannot limit the access of junk to your kids. When your children see you crunching in the burgers all the time, they would like to do the same thing. In addition, if you do that, it will be your biggest mistake. You need to create an instance of healthy eating and living for your kids. For that reason, start eating healthy even if you are not accustomed to it. Hit the gym and if your kids are young enough, take them along with you. Terrorism is something that is threatening to bring this world to an end, and we are doing everything within our powers to overcome it. There are however some situations that we cannot control such as the 9/11 bombings that occurred years ago. The worst thing about scenarios like these is the effect that they have on the kids. Children are affected either directly or indirectly, and this could lead to complications in the future. In this article, we are going to look at some of the things that we can do to help our kids understand terrorism. This will actually depend on the age of the children, for example, youngsters tend to focus on immediate moments rather than past or future, while older kids tend to think things over in more detail. We are all very aware of the violent images that flash on our screens and the emotional impacts that they have on our kids, whenever there has been a tragedy. Such images can have a negative effect on our children, and we need to filter the content that the children watch. If the children watch these images, they can keep replaying in their thoughts and feelings. The sounds also remain in their minds. There is also the thought of misinformation when children meet up with other children and share distorted truths, encouraging them to hear what they heard. It’s important to control the flow of information that our children have access to. There are many emotions that are going to come to the surface in the event of a terror attack, and these include anger, fear, frustration, confusion, worry, shock, anxiety, and many more. It is very important for us to help our children understand the links between what they are feeling and what happened. Their thoughts of certain things can quickly be altered, such as air travel and tourist attractions, making the children wonder what it would have been like if they were the ones that were there at the time that the attack happened. We should explain to them that it’s normal to have such questions going through their minds, but instead they should focus on helping those that have been affected. You should encourage the children to share their feelings with those that they trust. A good way is to invite a few of their friends along with their parents so that you can all discuss the incidents. This will help the children know the importance of sharing their feelings. Children tend to learn a lot following the incidents, and this can be puzzling to them. They might hear a leader talking of freedom, punishment, curfew and other things. Explain it to them in ways that they can understand as children, depending on their ages. Let them know the causes and effects, the lessons to be learned from it all, and even how different ideologies lead to conflict. This way, the children won’t draw conclusions of their own. Below, we are going to look at an example of things that children might not be able to understand. This is an extract from an article written for the Wall Street Journal by Marc Gerecht and Mark Dubowitz. The two are active members of the Foundation for the Defense of Democracies, an organization that is charged with negotiating and finding solutions whenever they feel that there is a terror threat aimed at the US and other countries. The U.S. is surrendering control of verification to the United Nations, where their influence is weak. President Obama believes that the nuclear “framework” concluded Friday in Switzerland is a historic achievement. Iran’s foreign minister, Javad Zarif, says he believes the same. Those two positions are incompatible. Because babies get a kick out of the chance to watch videos and push buttons does not mean they are prepared for a tablet. Specialists suggest holding up until your kid has at least reached preschool age. “Kids under two years old gain best from real life encounters and communications, and every moment spent before a screen-based gadget is a moment when your kid is not investigating the world and utilizing their faculties, which is critical in their improvement procedure. Be that as it may, by age three, numerous kids are dynamic media clients and can profit by electronic media with instructive substance. This substance frequently utilizes systems, for example, repeating a thought, displaying pictures and sounds that catch their attention, and utilizing kid as opposed to grown-up voices for the characters. Your kid might be prepared at some point or another, contingent upon the level of supervision required. In a supervised environment, kids as young as four or five can take part in learning exercises utilizing cell phones and tablets of numerous types. On the contrary, in an unsupervised environment, we wouldn’t prescribe a cell phone or tablet usage for a kid until in any case between the ages of 11 and 13. Specialists prescribe parents be extremely attentive as far as they can be with electronic gadgets, particularly at a young age. Balanced exposure is supposed to be the goal there. Parents ought to keep media screens in family territories so that a kid’s media usage can be observed, and TVs and tablets ought to be kept out of rooms. You can help your kid get more out of a cell phone or tablet by partaking in the experience. Draw in with your kid as he tries out another application, making inquiries about the application and bringing up various parts of the substance. This practice, ordinarily called “co-viewing” when connected to TV-watching, can help expand your kid’s cognitive aptitudes. Be that as it may, specialists caution not to think little of the learning force of reading a book with your kid or investing energy exploring the outdoors. Parents should be models for their kids. While we’re widely inclusive these awesome parts of these advanced gadgets, guardians need to strike an adjust, turn them off and invest genuine energy with their kids. This present reality is an imperative place for kids to create intellectual, social and dialect abilities. We propose permitting your kid to take photographs of bugs with your phone, then going on the web together to read more about the bugs in the pictures they catch. With technology so present today it isn’t a common site to see a child reading a book. It is however one of the best ways for children to learn. Unfortunately some children don’t like reading. I remember when I was a child I loved getting lost in my favorite books and reading for hours. I didn’t really have technology to keep me occupied so books were my save haven. As parents it is our responsibility to keep our children’s minds sharp and to keep them reading. It is time to switch off the XBOX and go to the library for good old fashioned entertainment. One of the most effective ways to get your little ones to read is to read stories to them. Even if they cannot read themselves yet they will love the mystical and fun experience of you reading to them. Make the story come to life by being interactive and later on bring a bit of spelling and grammar into the equation. There are also many ways to introduce writing to your little one. Magazines that are colorful, comic books and books with puzzles are a great way to start. You could perhaps get the ball rolling by playing games that have instructions. Have them help you with reminder notes or grocery lists. Click here for fun books to start reading with. You need to create the impression that reading is fun. Ask questions during reading sessions. Let them tell you what is going to happen next. This is a great way to get them engaged and interested in the story and the book. You could also turn a reading session into a play or dress-up session. This will only make the experience much more fun and give them the desire to want to read the story on their own. The internet has great reading material so while you are reading factual political articles written by Stephen Collins, one of the most well-known political writers you can introduce your child to some light reading online. It might just open up the world of books to them in an electronic way. More and more children today have absolutely no idea what they want to study or become. This indecision in your child can be terribly worrisome to you because you don’t want to choose for them and end up with the blame if they end up with a career that they hate and you don’t want them to get stuck in a crummy job with no future if they don’t study. There might be a lot of reasons why your child cannot decide. They might feel overwhelmed by the amount of different degrees and educations to choose from. Or they might still be struggling to find out who they are and what they want in life. You can help your children work through these issues by helping them make the best possible choices for their careers. A career assessment is great for kids who don’t know what they want in life because these tests focus on who you are and what your skills are and not on what you want in life. It is important to find a professional to conduct these analytical tests because the wrong guidance could be terrible for your child. The tests can help your child choose the right career path based on the things they are good at, on their personality and on what they like. It is hard to choose the right college these days because there are so many out there. Your child can get an astounding degree from a local college or even try an online college for greater flexibility and a better education. The best way to choose the right college is to consider the college’s ratings because the popularity and credibility of a college could determine whether your child’s masters or doctors degree is legit or not and it could affect the way in which employers view their education. A degree in something general like accounting, management or administration is fantastic for children who don’t have an idea of what to become because they can find a job in just about any firm. You can help your child choose a good career path by choosing a degree that is sure to land them a job no matter where they go. If you want your child to lead a successful life then choose a career field that pays well. A master’s degree in the medical field or in law can help your child earn a fantastic income some day because these professions are always in demand and always pays great due to the higher risk involved in the work.